"The environmentally “green” building has geothermal wells for heating and cooling and spacious classrooms, offices, training rooms, bays for ambulances and crew living quarters." "The building is fairly “green,” as it’s heated by 15 geothermal wells and heavily insulated. That training facility also houses several pieces of modern, technologically advanced practice equipment, such as dummies that speak, cough and move." Citizens’ Ambulance Service broke ground Wednesday at the site of a new response station and training center. 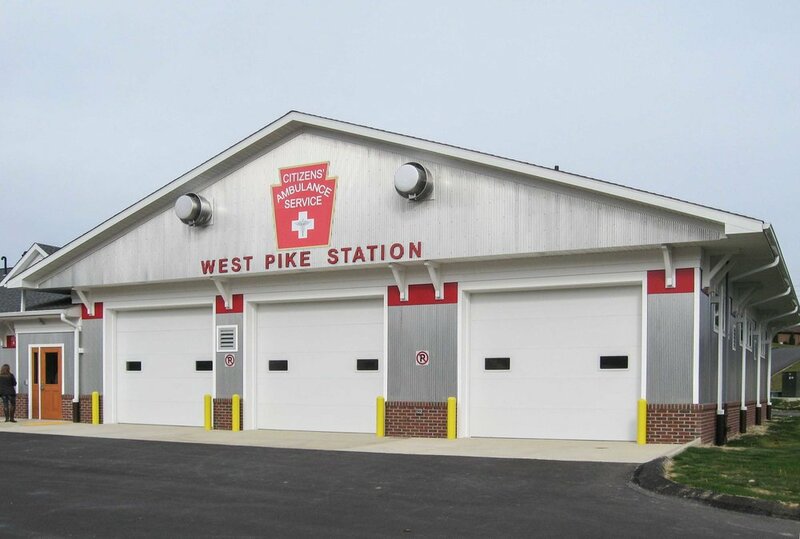 The West Pike Response Station and Citizens’ Ambulance EMS Training Institute will be built along Route 422 West behind the former Rustic Acres furniture site in White Township. It will serve the western and northwestern areas of Indiana County and parts of Armstrong County.